Home / New star on the block! New star on the block! Gosh, talk about being on the roll. 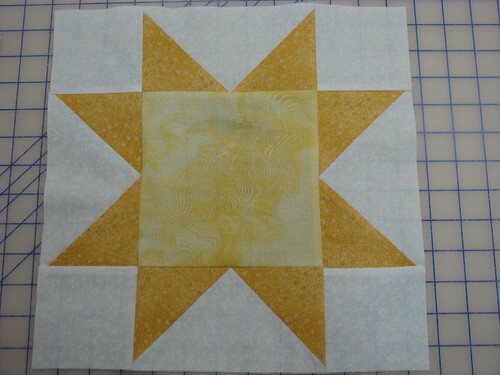 Done with Star QAL block 2 last night! YAAY! But I caught the flu bug – woke up feeling really horrid. And I’d really hate for Benji catch anything from this episode. So DH had to send him bright and early to my mom’s. 🙁 Will probably stay in bed to catch up on some sleep and then continue with the hexagons in the room! oooh, your quilt along blocks are looking so good.